Lg has finally started hyping there upcoming , G Pad 8.3 in there own way . About a day befor Lg has putted Teaser Video of the Gpad . 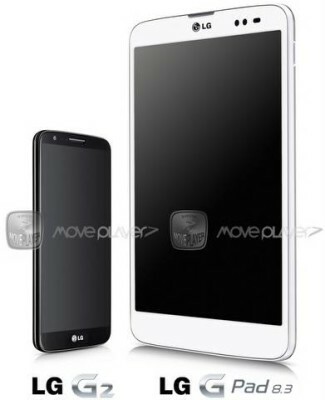 There is no doubt , the company will reveal the LG G PAD 8.3 tablet at the IFA this September . The GPAD tablet would packed with a 8.3″ inch screen having 1920×1200 resolution and Quad core processor paired with 2GB of RAM . The latest ad that you can see below shows the views of people about the tablet , problems they faced while using there present ones and that are qualities they think a tablet should have . People are saying ( in the video ) that the tablet should have – small size , pocket sized , Quick and responsive and light in weight . Its about more than a year since the company has not came up with a new tablet after the last Optimus Pad LTE 8.9 . Not just LG , but Samsung will also reveal Galaxy Note III ( Galaxy Note 3 ) and Samsung Galaxy Gear Smartwatch on 4 SEPT . According to the source Samsung Galaxy Note 3 will be able to record 4K resolution videos . Better to wait till 4 September ( release , launch date ) when the official competition between Lg G PAD 8.3 and Note III will take place .